Known to many as costly and difficult to grow, but—when done well—complex and food-friendly, Pinot Noir has a reputation that precedes it. Senior wine editor Ray Isle investigates the storied grape and picks four favorites. Pinot Noir is still just a drop in the ocean of American wine compared to the big three wine varieties—Chardonnay (which accounts for a quarter of every dollar Americans spend on wine annually), Merlot and Cabernet Sauvignon. But Pinot is undeniably America’s hot grape of the moment. Its sales have risen more than 20 percent a year for the past few years, and most top sommeliers sing its praises as a partner for food. Many wine regions around the world grow Pinot Noir, and grow it well. Pinot has a reputation as a difficult grape that’s only able to thrive in a narrow band of climate and soil conditions, but those conditions—relatively cool climates and well-drained, often limestone soil—exist in a surprisingly large number of places. Yet just as there are differences among individual vineyards, there are variations among Pinot Noir–growing regions that result in different textures, flavors and aromas. Pinot Noirs from Sonoma’s Russian River Valley, for instance, are known for their silky texture and deep black-cherry fruit. Pinots from Burgundy tend to be more structured (i.e., have more acidity and stronger tannins), and ones from northern Italy (where they call the grape Pinot Nero) are often lighter-bodied, with red-cherry notes. After tasting 147 Pinot Noirs to find the 30 here, I can say that the best all have complex, intense aromas; textures that are somehow both firm and weightless; and flavors that seem to effortlessly balance the fruity (raspberries, cherries, strawberries) with the savory (earth, mushrooms, pepper). Although it has a reputation for pairing well with a wide range of foods, Pinot Noir reaches its peak with earthy ingredients like mushrooms and gamey meats like duck and lamb; lighter versions are also terrific with rich fish like salmon. The Burgundy village of Santenay is known for producing rustic, intense Pinots, and this powerful, cherry-rich bottling, from 55-year-old vines, is no exception. 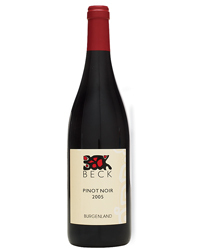 This small, ambitious estate in Austria’s Burgenland region, run by third-generation winemaker Judith Beck, focuses on red wines, like this cherry-and-violet-scented Pinot. East of Melbourne, Australia’s Yarra Valley is largely considered the continent’s best region for Pinot Noir. This aromatic, surprisingly affordable bottling is a good introduction to Yarra Pinot. 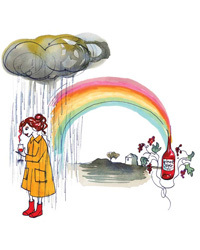 Herbal spice and buoyant raspberry fruit characterize this red from a 17-acre vineyard in California’s Anderson Valley, owned by fire captain–turned–grape grower Vern Boltz.